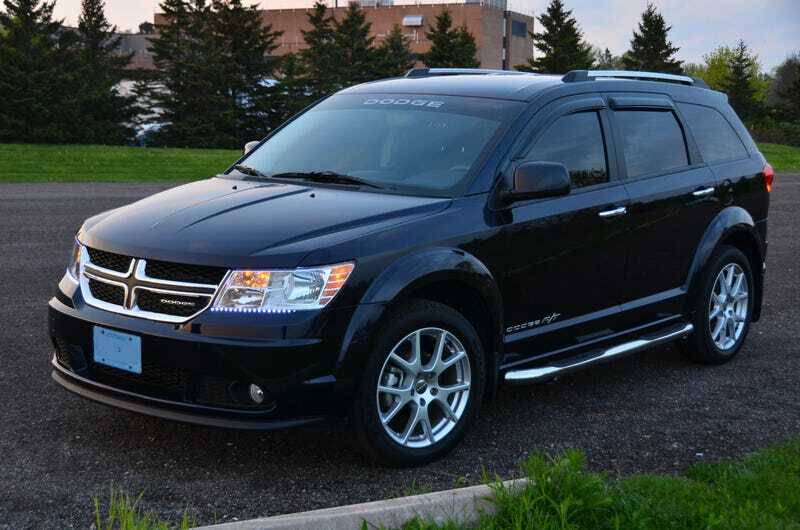 In the midst of all the hype about the AWD Hellcat and next generation Challenger/Charger, Automotive News has some interesting info about the future of the Dodge Journey. Journey: Plans to move the Journey onto a shared platform with the Chrysler 200 have been scrapped. Production of the current Journey has been extended to 2018, when it will switch to the Giorgio platform, with production moving from Mexico to Italy. The Giorgio platform underpins the new Alfa Romeo Giulia and will be the foundation of the new Challenger and Charger. That means the Journey is transforming from a lifted Avenger wagon into a sport sedan-based crossover akin to the Jaguar F-Pace and last generation BMW X1. It should make for one mean mall crawler.